"I have been wearing glasses since age 45 for my presbyopia or "old age vision". I started like everyone - going to the drugstore and getting magnifiers. But, gradually as my vision started to fade, I had go to the eye doctor and get prescription glasses. I started using multi-focal contacts five years ago, and that was a big improvement, but they did not completely solve my up close vision, so I found I STILL needed glasses for reading, computer or even a cell phone. Last year, at age 55, I noticed my vision getting a lot worse. I could not make it through a box of contacts (6-month supply) before I felt like my vision was changing. I said to my eye doctor: "My eyes seem to be getting worse, but SO quickly, is this NORMAL?" He seemed to brush it off, so I just accepted it as yet another drawback of the aging process. Little did I know there was more to it. A friend who had presbyopia and astigmatism said I should go see if Lasik could help me, because she had it done, and was very happy with the results. She went to Millennium Eye Center, here in South Florida. They are also the official Lasik provider for Miami Dolphins, Miami Heat & The Marlins. 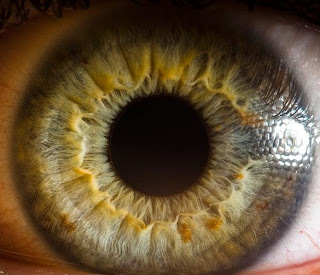 They did an extensive series of scans, measurement and examination to my eyes to determine if I was a candidate. One of the examining doctors finally came in and she said "You are a candidate for Lasik, but there's just one problem… "I said "What's that?" She said "You have cataracts." My jaw dropped. I could NOT believe what she was saying. I replied "But, but ....my eye doctor NEVER told me that." Then it started to make sense. I said "Could that be the reason my eyesight kept changing so fast?" She said "Yes, that's actually one of the symptoms of cataracts." She said that it would be advisable before I make any decision, to see Dr. Schatz at SightTrust, their branch/sister company that specializes in cataracts to see what they would recommend. "How many people just like myself are NOT BEING DIAGNOSED PROPERLY so they can take care of the problem if they so choose? 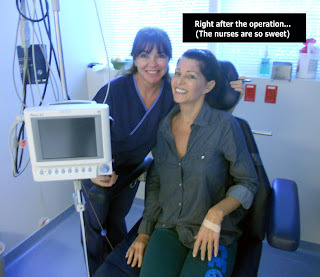 After meeting Dr. Schatz at SightTrust Eye Institute, I really felt comfortable. The very personalized service and care they provide really puts you at ease. Just like Millennium, both Dr. Schatz and the facility & staff are first class. Dr. Corey Lessner, Medical Director and Lasik surgeon searched for 18 months to find Dr. Schatz, who specializes in cataract surgery. 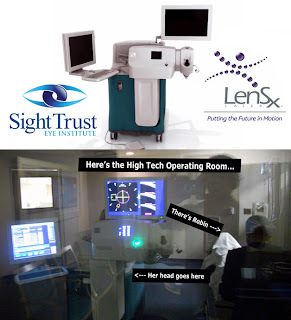 The LensSX equipment he uses is true "State of the Art" technology, and only about 250 of these even exist in the world, with only about 4-5 now in Florida. Dr. Schatz specializes in the use of this equipment and has become a true master in the art of cataract surgery. I am so happy I found him. 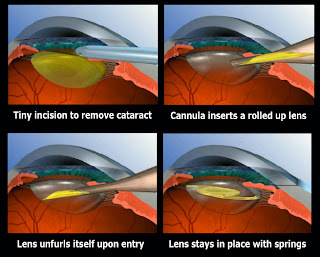 The cataract surgery using this advanced technology takes away the cataract, puts in a new corrected lens, (in my case a multi-focal lens), and corrects the astigmatism all in one surgery in 10 minutes. After having this surgery I am happy to report that I have 20/15 vision. A real miracle of medicine and technology. It's the first time I can thread a needle with no glasses in 16 years!" Current vision technology is truly space aged and continues to improve. Some important terminology can provide clarity in understanding the science and conditions that relate to great vision. RK - Radial keratotomy is a refractive surgical procedure to correct myopia [nearsightedness] that was developed in 1974, by Svyatoslav Fyodorov, a Russian ophthalmologist. Though it has been largely supplanted by newer operations, such as photorefractive keratectomy, LASIK, Epi-LASIK and the phakic intraocular lens, RK remains popular for correction of astigmatism in certain patients. LASIK or Lasik - [Laser-Assisted in Situ Keratomileusis], commonly referred to as laser eye surgery, is a type of refractive surgery for the correction of myopia, hyperopia [far sightedness], and astigmatism. CK - Conductive keratoplasty [CK] is a type of refractive surgery that uses radio waves to adjust the contour of the cornea by shrinking the corneal collagen around it. It is used to treat mild to moderate hyperopia. 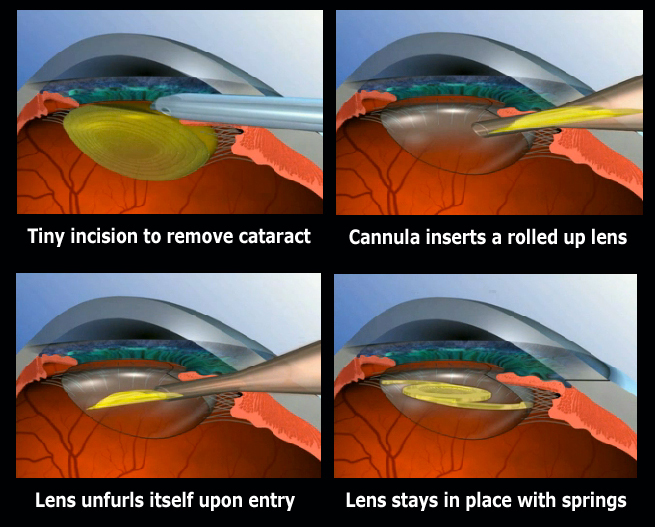 It is a non-invasive alternative to other types of eye surgery. PRK - Permanently changes the shape of the anterior central cornea using an excimer laser to ablate (remove by vaporization) a small amount of tissue from the corneal stroma at the front of the eye, just under the corneal epithelium. This operation is more common in the Spec Ops and military community. 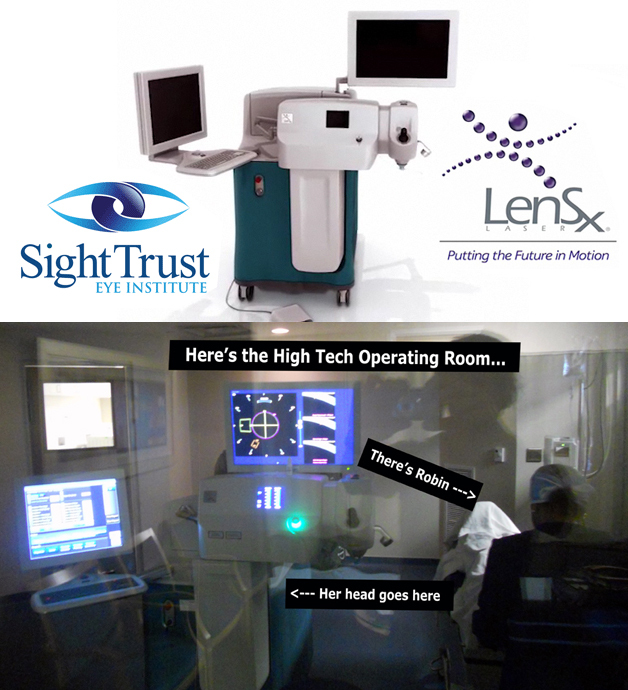 For more information about the very best quality Lasik or Cataract surgery, please contact the dream teams at Millenium and Sightrust. Remember, they are the only eyes you have, so treat them well. The following is a list of observations from decades of training both men and women. Those with profound health issues and world champion athletes. The differences between sexes are profound, but there exists much need for Madison Avenue and 'coffee talk anecdote' to make fitness appear unfairly difficult for women. This is not true. The same rules apply to both sexes. The journey may be different, but the outcomes are largely decided by consistent, focused, behavior. Let me uncover some falsehoods and myths to illuminate areas of ignorance. 1. "I've tried everything and nothing works". Well amazingly we have found the first human that defies physics. The key word is 'try'. They lack consistency and quite. Fat loss and fitness works for everyone. Calories are just measurements of energy. Don't moralize them. They are neither good nor bad,.. they just are. 2. "I need to tighten the flab". There is no such thing as flab. There is muscle, fat and skin. You can flex muscle, but you can't flex fat or skin. The process is to adopt a lifestyle of optimal calories and activity to attain your goal weight. Resistance training will keep your bones and muscles strong. 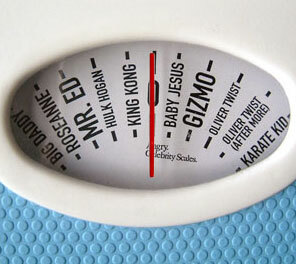 If you above your target weight,.. you will have body fat combined with overstretched skin hanging. This can be surgically removed. 3. "I'm always hungry, I like to eat". 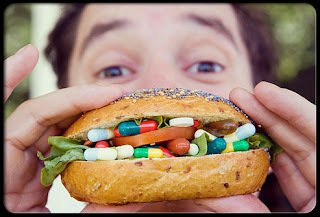 I like to eat too, but I don't medicate myself with food. The problem is that women tend to under eat protein. That is a problem. As we age, we lose our muscles and it makes us act and move like the elderly. A good rule of thumb is one gram of protein for every pound of your target body weight. If you want to weigh 120 pounds, then that would indicate eating 120 grams of protein per day. In addition to the health benefits, protein is by far the most satiating of the macronutrients. You will not be, "hungry all the time". 4. "The girl at the gym told me to work my core to get a flat stomach". The "core" is an overused term since the 90's. It involves all of the anti extension, anti flexion and anti rotation muscles of the torso. This is a whole article in and of itself. However, NO amount of direct exercise, 'burns away' fat on the tummy. We knew this in the sixties, but if you didn't know this, then you are the last person on earth to get that news. 5. "I don't want to lift weights, I'll get muscular and look like those girls in the magazines and internet". Amazing. Amazing. So let's get this straight. You jump into the athletic realm and with little or no effort, will exceed results that others have slaved over for years? One ballet lesson and you are shipped off to the Royal Ballet of London? A jog around the block and you are capable of world record times in the 100 meter dash? So by following a program of resistance training to strengthen bones, improve lipid levels, reduce blood pressure, etc. you will be instantly kidnapped and be on a movie poster with Sly, Arnold and gang for Expendables 3? How remarkable and arrogant. Women by far have the most to gain by a sound resistance training program. They can improve their looks and health with a small investment in time. They can maintain their weight and height and figure as well. This is just a warm up. Stay tuned for Part Two. 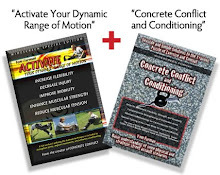 Functional Yoga and it's companion DVD, "Recharge 3 Pack", are what I refer to as 'bridge' material. The instructor is Brian Friedman of Winter Garden Yoga. [Winter Garden is a town in central Florida]. What Brian has done is to minimize some of the esoteric areas of yoga without sanitizing the art. He's make yoga and science and making the method palatable for the average person. That's why I refer to it as 'bridge' material. For some, the eastern mysticism of yoga might be a turn off and they won't enjoy the benefits of Brian's considerable knowledge. Brian's presentation in a beautiful studio with great camera work is a welcome sight since excessive production values are often used to pump up a celebrity who is not an instructor. 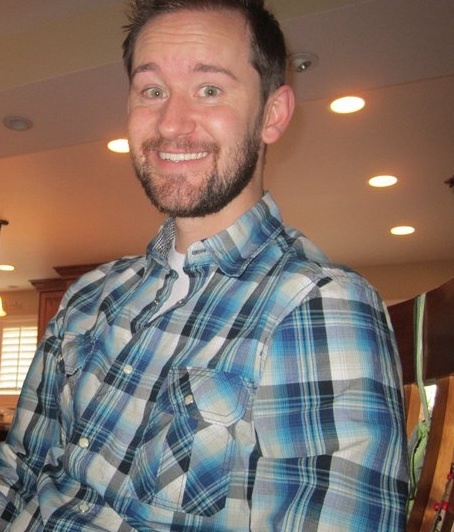 However, Brian's strength is to convey knowledge in a relaxed and articulate manner. This DVD would serve as an excellent tool to fortify less seasoned instructors or serve as an introduction to newbies. The sister DVD is a three pack of bite sized workouts. One is beginners yoga, then two on joint mobility. This product renders the excuse of, "I don't have time!" as a moot point. They are just what the doctor ordered in terms of minimal time and maximum results. Brian also has an Ebook to back up his DVD package for those who love ebooks and prefer a back up to dvds. These packages are professional filmed, photographed and packaged. The reference to 'bridge', once again is for someones first taste of yoga or for someone formally uncomfortable with doing yoga. This material is a welcome relief in a field of often vaporous promises. A healthy lifestyle cannot be created through a fad diet or miracle solution. It comes from following the basic recipe for a better life that includes such ingredients as a healthy diet. The foods we consume go a long way to determining if we have strong, healthy bodies or if we end up being afflicted with obesity and a multitude of health problems. 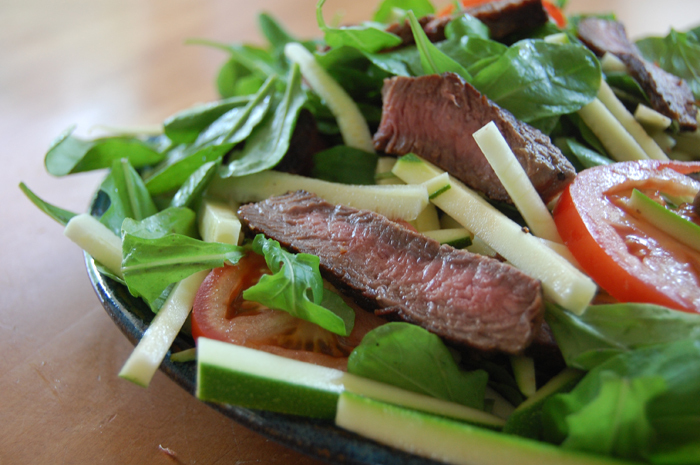 Some diets are based on forcing you to only eat foods that are low in carbohydrates or fat. Other diets require you to cut out meat or some other food group as the primary tool for achieving your health and fitness goals. These diets ignore a fundamental principle that the human body needs nutrients found in a variety of foods. While the myth of our bodies needing eight glasses of water each day is being debated, the importance of water in any diet can’t be denied. Water makes a great alternative to other caloric beverages, including soda pop, fruit juices, and sweetened tea. Water has zero calories, which easily beats the average of 150 per can of soda or 180 per glass of juice. Plus, water can quench your thirst and keep you hydrated longer than most calorie packed alternatives. There is no scientific evidence that shows organic foods have more health benefits than any other types, but many people prefer to eat foods that are grown locally and without pesticides because, in their minds, these foods are healthier. Keep in mind that choosing to eat organic foods may help your health, but isn’t a guarantee. There is nothing redeeming about fast food. It is extremely greasy, high in fat and loaded with sugar, salt and unhealthy carbohydrates. A diet centered on fast food is a ticket to rapid weight gain and obesity related illnesses. Plus, it saps your energy and generally does not taste as good as a home cooked meal that you have prepared yourself. You can never have too many fruits and vegetables! They make a quick and delicious snack that is also good for your body. All three basic meals can be complimented by adding fruits and vegetables into the mix. Fruits and vegetables have a knack of injecting tons of energy into your body and they go a long way toward keeping you feeling fit, thin and happy. Wolfing down whatever is on your plate is the worst thing you can do at meal time. Not only do you barely taste the food you put in your mouth, but you also have a difficult time satisfying your appetite. Slowing down when you eat lets you savor the aroma and flavor of the cuisine before you. Mix in some conversation as you dine with a friend, family member or significant other. That offers you a chance to enjoy both your meal and your company at the same time. Get rid of the buffet mentality at meal time. Eat until you are satisfied and then do not take another bite. There's no point in stuffing yourself full of food until you feel bloated and sick. There will be other meals to enjoy the next day and other chances for you to indulge in your favorite dishes once again. You can learn a great deal about a particular food item by scanning through the list of ingredients. If you find that it has a ton of strange sounding words, take it as a warning. That food is going to be filled with artificial flavoring, coloring and enough preservatives to keep it around for a century. These are not the types of things you really want in your body. The best part of cooking your own food is that you control what goes into your meal and you also control the size of the meal. When you are the chef, you decide what you will eat and what you won't eat. Preparing your own food feels many times more satisfying than grabbing a value meal from a burger joint on the way home from work. It is impossible to go a lifetime without an occasional treat. Indulge occasionally. Bake up a batch of cookies or brownies with all-natural ingredients, or air pop some popcorn. Whatever appeals to your sweet tooth, make room for it. This will help you maintain a healthy balance in what you eat. About the Author: When he’s not out snowboarding the Utah powder, Porter Olson is a writer and blogger for UsDirect.com. On Saturday, February 11, 2012 I had the opportunity to listen to a talk by Gary Goldfaden, MD, a clinical dermatologist and a lifetime member of the American Academy of Dermatology. He is the founder of Academy Dermatology in Hollywood, FL, and Cosmesis Skin Care. He is also a member of the Life Extension Scientific Advisory Board. The Life Extension Foundation in Fort Lauderdale, Florida hosted the presentation. If you don't know know about Life Extension, you should. To quote Wikipedia it is, "a non-profit research-based foundation headquartered in Fort Lauderdale, Florida, established by co-founders Saul Kent and William Faloon in 1980. Its primary purpose is to fund research and disseminate information on life extension, preventive medicine, anti-aging and optimal health, with a focus on hormonal and nutritional supplementation, deriving much of its income from the sale of vitamins and supplements." William Faloon is the Director of the Life Extension Foundation. He is largely responsible for it's massive growth. He's also the author of the new book, "Pharmocracy". 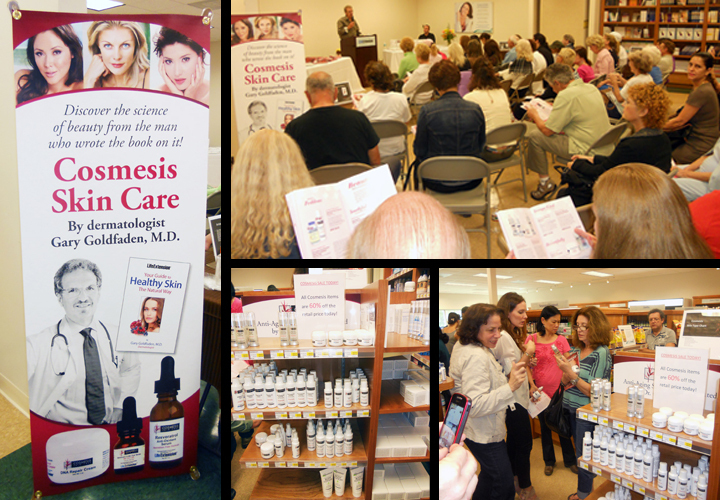 Dr. Goldfaden's presentation was in conjunction with the publication of his own book, "Your Guide to Healthy Skin the Natural Way". His talk was an overview of what he considered important information about our largest organ, the skin. Rather than steal the thunder of Dr. Goldfaden's book and presentation, let me hit upon some interesting and provocative ideas that he presented. Exfoliation is a big part of the program. You essentially stimulate new skin growth by removing the outer layers. This is done by both Amber and Ruby crystals in products developed by Dr. Goldfaden. Tea extracts are used in the exfoliation as well. Hyaluronic acid is what gives skin moisture and gives the skin its structure. It is widely used in dermatology today and is included in the Cosmesis products, particularly useful in the more fragile areas around the eye. A promising chemical, called Acetyl Hexapeptide-3 is similar to Botox. It is reported to reduce a facial muscle's ability to contract and form wrinkles. It has not however, been subject to double blind testing. Oily skin- Use water based moisturizers. Normal Skin- Use oil based moisturizers. Dry skin - (or like that of an alligator) Use heavier oil based moisturizers. The Doctor offered his specialized products, called Cosmesis, as a natural skin care alternative to those who prefer not to use more invasive procedures. Dr. Goldfaden does not disapprove of cosmetic procedures and regularly performs them in his practice. His motivation seems to be one of empowering the patient with knowledge and tools to take control of the health of their skin. Rather than deal with anecdote, lies, or just plain bad information. Let's look at evidence. I don't regularly use aspartame since I'm not into sweetening things. However I never hesitate to use it if I want to. The key is, if you don't like it, if it makes you sick or gives you a headache, don't use it. I'd advise the same thing for any food or beverage as well. Aspartame has been claimed to produce brain tumors. This claim is a misinterpretation of testing done on every product. New products undergo many tests before they are allowed onto the market. One of those tests is referred to as mortality testing. If you are an animal rights activist, stop reading. This test is performed on a few hundred animals, usually rats. The test is simple, you force the animal to ingest large amounts of the product until they die. If they don´t die, you give them larger doses. The purpose of the test is to determine at what level death will occur, and then after autopsies, the cause of death is determined. This test is done on every food, and always results in the death of the test subjects. In the case of Aspartame, the leading cause of death was starvation. Basically so much aspartame was given that the intestines could not absorb other nutrients necessary for life. The second leading cause of death were brain tumors. This test is the root of all the rumors regarding Aspartame and brain tumors. The fact is that no brain tumors in humans has every been attributed to Aspartame. The amount of aspartame ingested by the rats is nearly impossible for humans to ingest even if they were eating the raw product. The second myth regarding Aspartame involves methanol and embalming fluid. 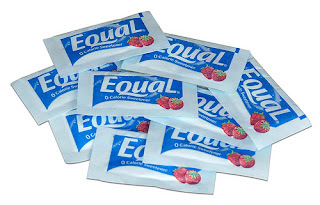 In a laboratory, Aspartame can be converted to many of the same substances used in embalming fluid, however, the other chemicals needed to achieve this process are not found in the body. The other part of this is the rumor that Aspartame can turn into methanol. This is correct, but so can every fruit and vegetable and most other things we eat. Our bodies are very capable of dealing with the methanol that is produced when we eat food. Are Supplements Ruining Your Workout? Could the very supplements you take to make you fitter and healthier be hurting your workout results? Sports Med. 2011 Dec 1;41(12):1043-69. doi: 10.2165/11594400-000000000-00000. School of Human Movement Studies, The University of Queensland, Brisbane, QLD, Australia. High levels of reactive oxygen species (ROS) produced in skeletal muscle during exercise have been associated with muscle damage and impaired muscle function. Supporting endogenous defence systems with additional oral doses of antioxidants has received much attention as a noninvasive strategy to prevent or reduce oxidative stress, decrease muscle damage and improve exercise performance. Over 150 articles have been published on this topic, with almost all of these being small-scale, low-quality studies. The consistent finding is that antioxidant supplementation attenuates exercise-induced oxidative stress. However, any physiological implications of this have yet to be consistently demonstrated, with most studies reporting no effects on exercise-induced muscle damage and performance. Moreover, a growing body of evidence indicates detrimental effects of antioxidant supplementation on the health and performance benefits of exercise training. Indeed, although ROS are associated with harmful biological events, they are also essential to the development and optimal function of every cell. The aim of this review is to present and discuss 23 studies that have shown that antioxidant supplementation interferes with exercise training-induced adaptations. The main findings of these studies are that, in certain situations, loading the cell with high doses of antioxidants leads to a blunting of the positive effects of exercise training and interferes with important ROS-mediated physiological processes, such as vasodilation and insulin signalling. More research is needed to produce evidence-based guidelines regarding the use of antioxidant supplementation during exercise training. We recommend that an adequate intake of vitamins and minerals through a varied and balanced diet remains the best approach to maintain the optimal antioxidant status in exercising individuals. Get Reverse Magazine by Email! Both 54 years young, we started Reverse Magazine for readers who want to stay young and healthy for a lifetime. So hang with us as we bring you anti-aging news, interviews & strategies.